Travel Insurance: worth the cost? This is a significant improvement on previous options. Up till now, you’d be left wondering whether you would have any entertainment options at all while on board. Q Streaming is the focus of our guide today, the first option being an easy-to-use system that would be familiar to anyone who’s encountered in-seat entertainment before. 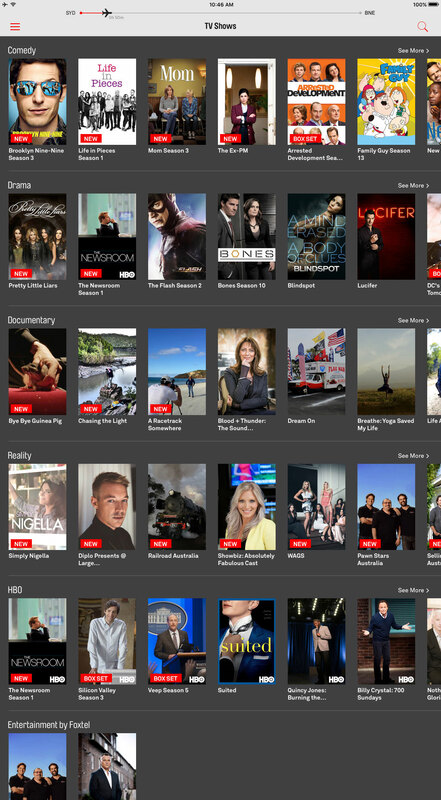 Q Streaming is the name given to the system that Qantas uses to deliver entertainment to passengers on their own devices. It’s a way of providing passengers with in-flight entertainment without needing to replace all of the seats on the plane, so you’ll generally find it on earlier 737s that were delivered without any in-seat entertainment units. You’ll need to have your own Wi-Fi enabled device to connect to the on-board Wi-Fi and your preferred headset if you don’t wish to use the supplied headset. We have tried it with a 2011 model iPad 2 and a 2016 model Android phone and it works consistently well on all of these devices. The bigger the screen the more enjoyable your experience. If you choose to use the dual-prong headsets that are provided, simply placing one of the prongs into your device will still give you audio. However it won’t be a great experience as they’re not great headsets. We’d strongly recommend bringing your own favourite headphones. Importantly, you will need to download the apps to your Apple or Android device before you get on the plane as there will be no internet connection on board. 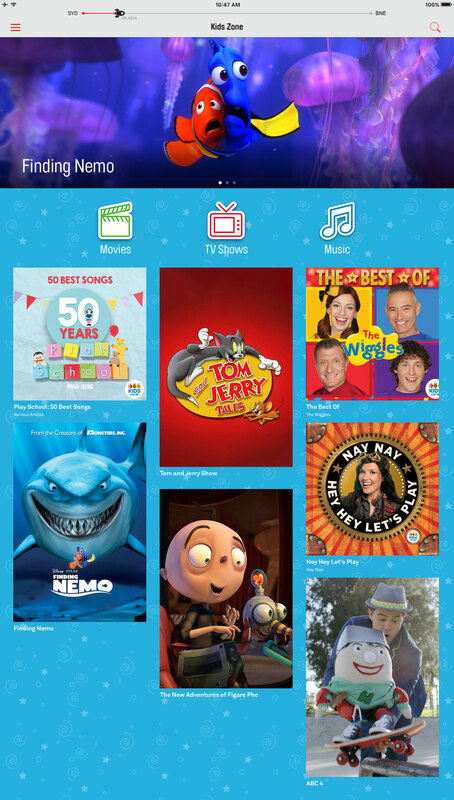 You can get the app at the Google Play Store for Android devices, or the Apple App Store. Once on-board, put your device into flight mode but turn on Wi-Fi. Due to changes in aviation rules in Australia, you can continue to use your tablet or phone at any time during the flight, so long as it is in that mode. 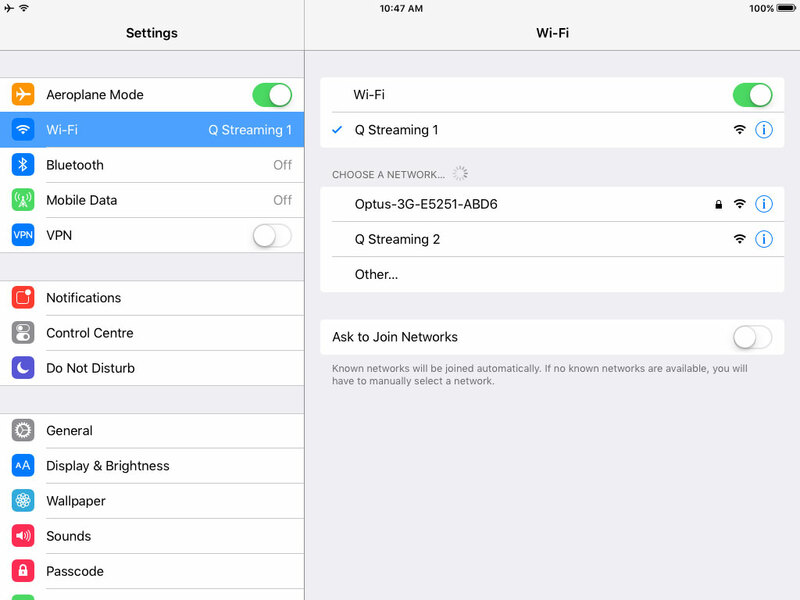 Fire up your device Wi-Fi settings and look for a Wi-Fi network that has “Q Streaming” in its name. You may also see a number associated with the name – just select the one that is showing a stronger signal. 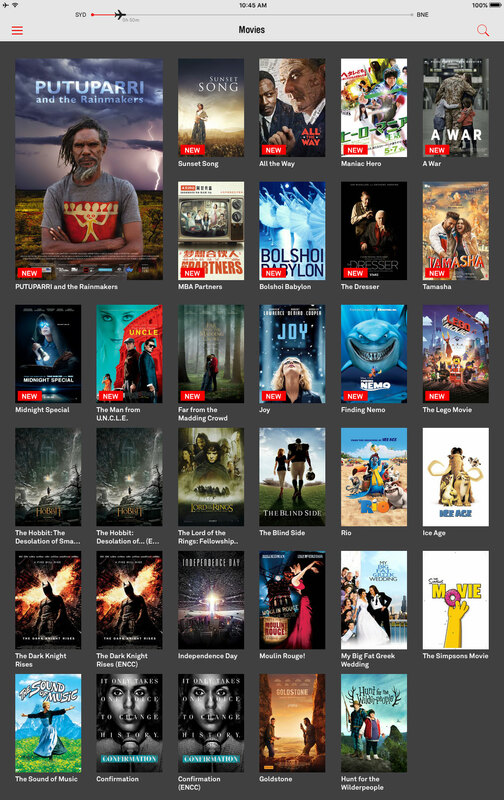 Once you’re connected, start the Qantas Entertainment app and you should see a screen full option stuff to watch. 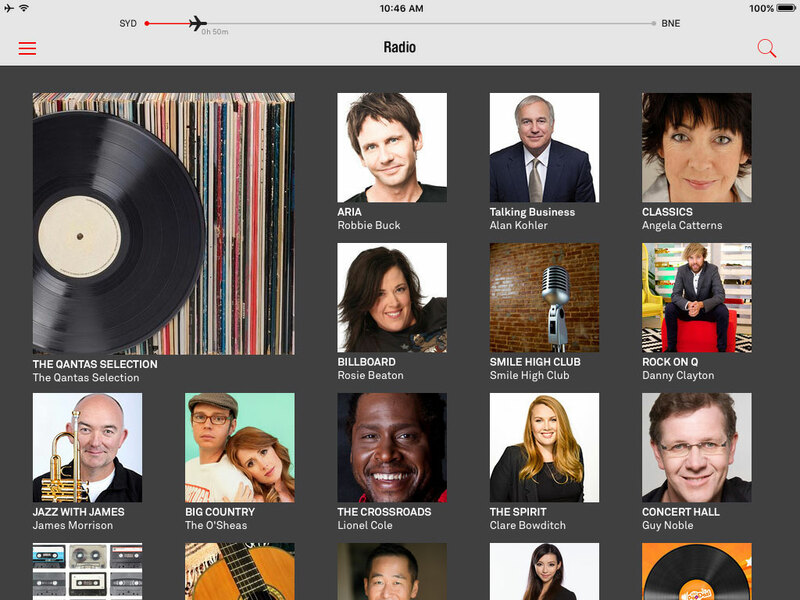 A handy bar across the top shows you the progress of your flight so you can judge how long a show you should choose. While you’re watching, tap the screen to access controls which will let you pause playback, or jump 30 seconds backward or forward – handy for when you’re momentarily distracted. 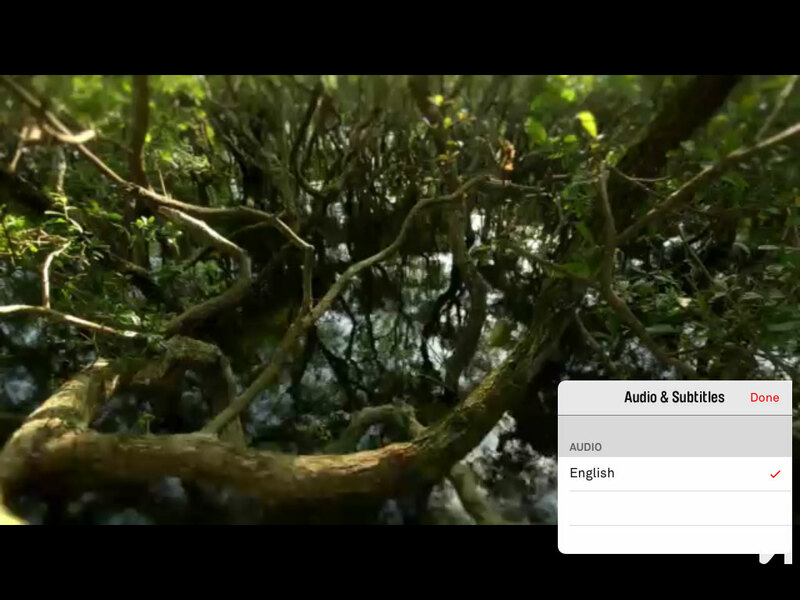 You can also adjust the volume, seek to any point within the show (which we found to be very smooth and quick) and also access audio and subtitle options. Handily, while you’re watching a move or listening to audio, you won’t miss any announcements as the app automatically stops playback and streams the announcement through your headset. 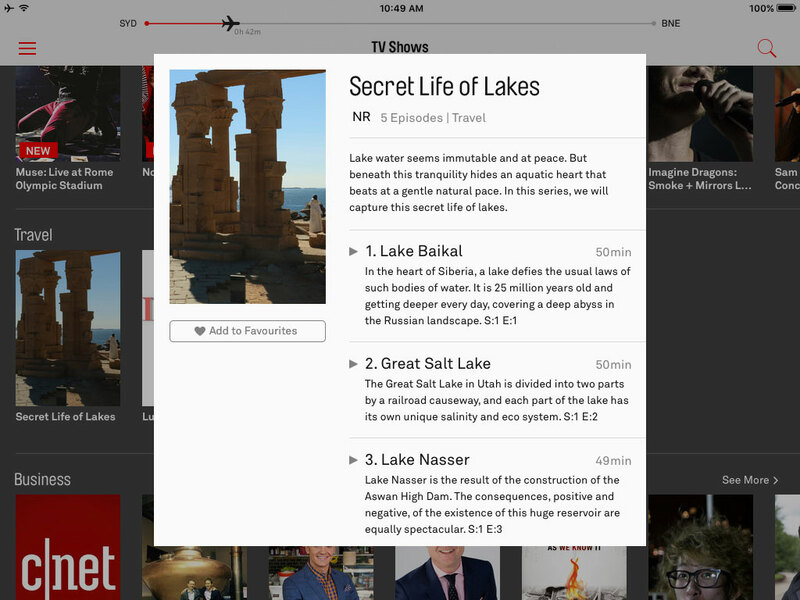 We really liked using Q Streaming as it lets you use a familiar device and is easy to use. It also gives you access to a lot more media than you could possibly have the time (or willpower) to load up onto your own device before flying. We also like that most seats on the newly refurbished aircraft provide a way for you to suspend your tablet from the seat in front of you. It’s a nice touch that means your device doesn’t have to take up space on your tray table during meals. Q Streaming is a great improvement on previous entertainment offerings. Due to its ease of use and impressive variety we’re expecting it will bring countless hours of joy to Qantas domestic passengers. I was using this without difficulty but suddenly on two different ipad’s the app fails to work. I get a menu but none of the programs will play. If I click on a program all I get is a spinning wheel. I actually had this happen on an iPad about 3 months ago. However it worked fine after I switched to my phone. Was your experience with two different iPads on the same flight? I had the same thing however have not been able to rectify it. I’ve tried reloading the app, resetting settings and hard resetting. Unfortunately I don’t know if it will work until I get on the flight and every time am met with the spinning wheel when I try to play a movie/show. Luckily my phone works as a small backup. Will let you know if I ever figure it out. Hi Graham, that’s exactly what I got. I’ve read somewhere that you should check the date and time on your iPad as some of the security settings in the app may need your iPad’s date and time to agree with that of the entertainment system. It’s also worth checking that you have the latest version of the app before you board the flight. 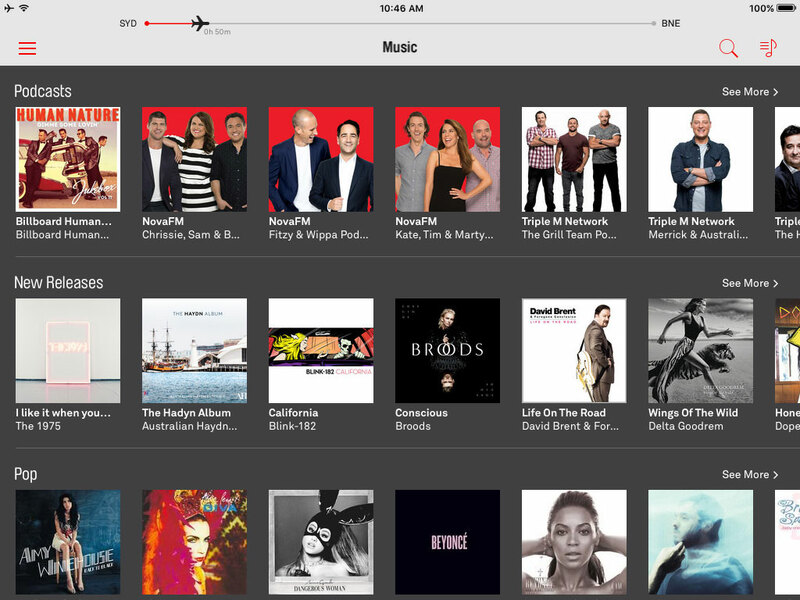 Qantas also say that you need to be using Apple iOS 9.3 or above, or Android 5.0 and above on your device. Those are quite old, so I doubt that’d be an issue for the vast majority of people. It’s a problem for my old iPad, which cannot even load the app due to the early version os. Not upgradable on that model. And my newer android phone shows the menu page but then refuses to play a movie. Not even a spinning wheel! QANTAS needs to include a test page with a movie trailer. it’s not good enough to find out it does not work after getting on the plane! What about a couple of tablets to hand out to unfortunate passengers like me who cannot access entertainment through no fault of our own. Can Qantas Entertainment be accessed via a laptop? If so, how can it be accessed? 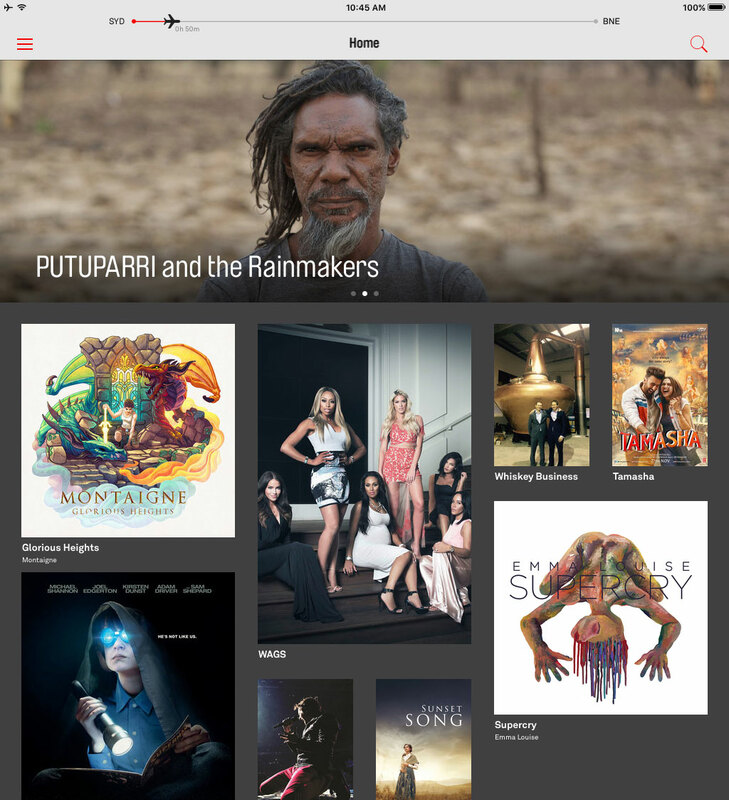 Hi Kiri, as far as we’re aware, Qantas Entertainment can only be accessed by devices that run Android or Apple iOS. Therefore if your laptop runs Windows or MacOS (i.e. a Macbook of any kind) you’re unfortunately out of luck. I am also having the same issue. Originally the App worked without issues, then all of a sudden it stopped working. I have no issues on Virgin. Oddly enough no issues with the commercials, and SkyNews (vomit) they play without issue, but as soon as the movie is due to play all I get is the spinning wheel. Very frustrating, at first I thought it must be a ploy by Qantas and they make money each time the adverts are played and finally you get to watch the movie, but no. I just flew from Sydney on Friday night and same issue, yet the people in the row in front had no issue. Grr and disappointed. It seems from the reviews of the app that you’re not alone. Hopefully the Qantas developers take note of feedback and address them with the next updates.